AccsenseElectrocorder dataloggers are electrical logging devices monitoring power/energy, current/voltage, power quality and more. These products perform ongoing datalogging to identify issues with supply and equipment; to calculate and prove the value of future energy savings; and as low-cost investments for long-term energy savings. Electrocorder constantly samples every cycle multiple times (recording the Min, Max and Average) over the set period. Additionally, specialized Electrosoft software is included FREE with every unit to assist with data interpretation, enabling users to define the voltage to plot power and energy, then simply upload their recorded data via USB to a PC for analysis. The EC-3V has an integral Phase Sequence/Rotation Checker. The voltage levels are stored with dates and times. 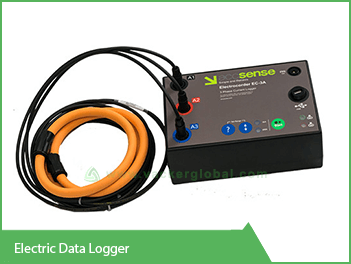 With the back-up battery, the Electrocorder data logger can continue to record for a year. The Electrocorder range use a constant sampling technique, unlike the single reading of competitors. When the loggers start to record, they sample every channel 16 times per cycle, a cycle is 16ms at 60Hz and 20ms at 50Hz. At the end of each averaging period, 3 quantities are saved for each channel, the True RMS average, the Max, which is the highest cycle value during the period and the Min, lowest cycle value. This means that it will record all the peaks and troughs which are one cycle or longer. Three phase input (L1, L2, & L3) & Neutral (N). Use for single phase logging also! 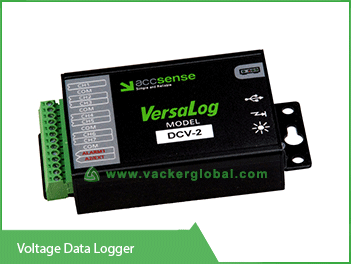 This data logger is specifically designed to monitor one, two or three current channels, allowing you to monitor the loading and energy consumption of the installation. The stored data is uploaded to a PC via the supplied USB cable. The product is supplied with three Rogowski transducers. Four models are available. The EC-3A-FK has a range of 5 to 400A, the EC-3A-1K has a range of 10 – 1kA, the EC-3A-2K a range of 15 – 2kA and the EC-3A-3K a range of 20 – 3kA. Other ranges may be factory set, normally up to around 10kA per phase. When recording the Electrocorder will store the average current over the period chosen (1 sec to 60 min), it will also record the highest (max) & lowest (min) cycle values during that period. The current levels are stored with dates and times. With the back-up battery, the Electrocorder can continue to record for 3 months. 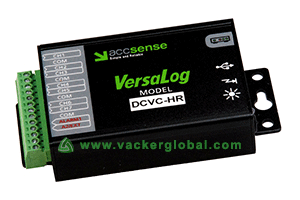 A 12Vdc PSU input is available, to allow for prolonged logging without battery power. Allows users to record load currents up to 3kAac, range is model dependent. Three current input channels (A1, A2, & A3). Records Max, Min and Avg current on all 3 channels. Data stored in non-volatile memory. Recorded data is uploaded to a PC for analysis with Electrosoft. Kit includes Logger, Carry Case, Electrosoft software, 3 Rogowski Transducers, USB lead & 12Vdc PSU. Memory capacity of 32,000 true RMS voltage values per phase (10 bit), up to 300 days continuous recording. Selectable averaging period to suit each situation, accurate to ±1% of range.